Your Search For the Perfect Pencil Stylus is Over. That's Right. 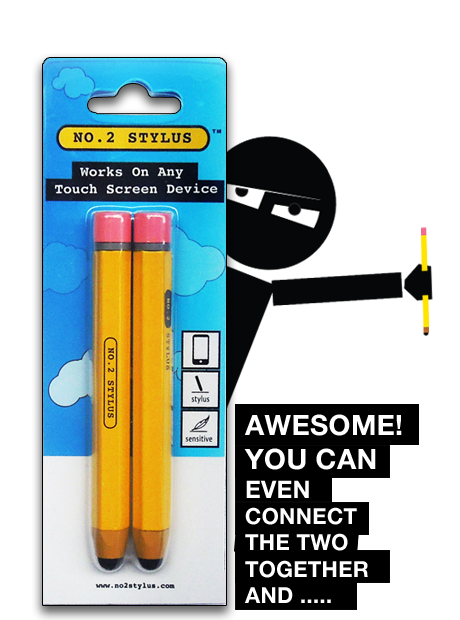 It's a Pencil Stylus! It works on all touch screen surfaces. With a soft and accurate tip that won’t scratch, the No.2 Stylus is defining the standard in touch screen sketching and drawing. Dominate your friends in drawing apps. Sketch, Write. Draw! Copyright © 2012 AMIN SWESSI | Patent: USD743964 S1 | Trademarked | 2012. Amin Swessi Designs is neither sponsored by, nor affiliated with,Apple Inc. iPhone ® is a registered trademark of Apple Inc.